You have many choices when it comes to siding your home. But for beauty, convenience, low-maintenance and lasting value, your first choice should be DryTech Roofing. As energy costs rise, it has become important to make your home more energy efficient. Replacement windows, fiber cement siding, and quality roofing are all ways to do this, but you could install all of these and still be overpaying. One of the main culprits responsible for letting costly energy escape is your attic. Welcome to DryTech Roofing! We are the fully licensed and insured roofing contractors in Maryland that residents turn to for a wealth of industry experience. Since 2000 we have been providing Bel Air, Ellicott City, Laurel, Annapolis, Silver Spring, and Columbia, MD with roofing, siding, and insulation services. With factory-trained staff and solid relationships with some of our nation’s top-manufacturers we are able to provide the kind of roofing and siding that Maryland homeowners expect from their professional roofer. In order to ensure our Maryland area roofing contractors are the most informed and skilled installers in the industry, each one undergoes continuous education in their craft from our leading roofing manufacturer – GAF. As a certified Master-Elite GAF contractor, we are able to provide our clients with full GAF warranties, which are the most protective in the local Maryland roofing industry. 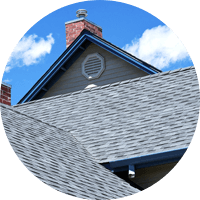 As a result, we offer the highest quality asphalt roofing available, along with expert roof repairs. Our dependable roofing and longstanding relationship with GAF is just one reason we are the roofing company in Maryland that local homeowners turn to first. 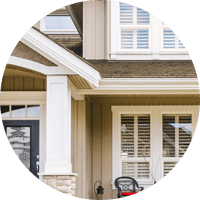 We also offer and install vinyl siding. 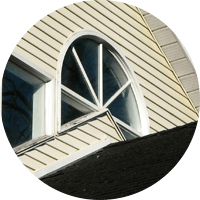 Vinyl siding is the most commonly installed exterior material and is the most economical material choice. It comes in a wide variety of styles and colors to suit every taste and cover every architectural detail. Vinyl siding never needs painting and comes with a manufacturer’s limited lifetime warranty against fading, peeling and cracking. The Vinyl Siding Institute (VSI) has certified DryTech Roofing & Home Solutions which means that our crews are trained master siding installers. We can also install vinyl soffit and trim packages to further enhance your home’s value and curb appeal. Drytech Roofing’s services don’t stop at siding, Maryland. We also insulate attics, and more! Our staff is skilled in many aspects of general contracting, and has the experience and skills to get any home improvement, renovation or repair job done right. Each Maryland roofing contractor at Drytech Roofing understands that the home improvement process can be a hassle. Through all of our years in the roofing and siding industry, we have become among the top roofing and siding contractors that Maryland homeowners trust to provide superior service and quality work from start to finish. Call and schedule a FREE estimate for roofing, siding, or attic insulation Maryland residents can count on for quality and value. We are one of the few Maryland area roofing companies that aims to EARN your business, with honest, fair assessments and quality work. We don’t receive final payment until after you are satisfied! Have an aging or leaking roof? Don’t want to keep climbing up there and patching cracks, just to have them reopen? Contact DryTech Roofing, and leave the roofing to us. Call (240) 491-5600 for a FREE Estimate from the most trusted Maryland roofing company.